Our Guests are Priority One. Barry Eagle, President/CEO, put a plan in place in 2006 to create an innovative hands-on management company with vision and a commitment to excellence in all facets of hotel operations and sales. Crown Hotel and Travel Management, LLC opened in 2008 with one goal in mind – to deliver financial results for hotel investors and give on-site assistance rarely seen from other management companies. His hospitality career spans over twenty years, working with brands such as Hilton, Marriott, IHG, Sheraton, Choice, Best Western and several independent hotels. His professionalism and integrity are well known in the industry, along with his leadership. For much of his career, he led the sales and marketing initiatives for distressed hotels where he gained the reputation for turning around a property’s financial performance. 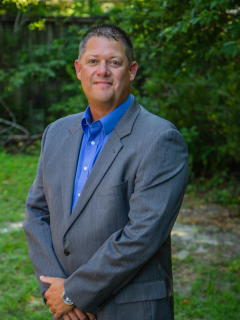 Barry attended the Community College of the Air Force and Jeff Davis College and currently holds degrees in Business Management and Business Administration. He served six years in the United States Air Force where he worked for the Base Commander and was recognized as a high achiever receiving several awards, including the Inspector General’s Award for Excellence and the John Levitow Award for Leadership. 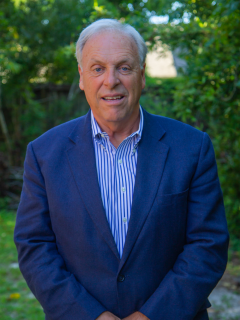 He currently serves as the Chairman of the Leland Tourism Development Authority and is a member of Association Executives of North Carolina and has served on the Board of Directors for Meeting Planners International – Carolinas Chapter, Raleigh Chamber of Commerce and the Swansboro Military Affairs Committee. He currently lives in Wilmington, NC with his wife Angela and has four daughters, Katie, Ansleigh, Kelsey, and Mallory. As Director of Development, John oversees all aspects of site selection, architectural design, franchise negotiations and acquiring lending sources. 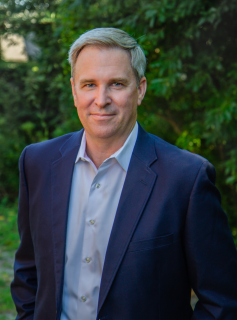 John has more than 30 years of results-oriented experience in real estate development and his intuitive site location and management skills are well known in the hospitality industry. He has developed an array of commercial and mixed-use projects with such companies as McDonalds and continues develop projects through his company Clarendon Properties. John is dedicated to community service and has served in many different capacities such as International Council of Shopping Centers, New Hanover County Meals on Wheels Board of Director, Board of Trustees – Wrightsville United Methodist Church, Wrightsville Beach Lions Club and Cameron Executive Network – Cameron School of Business – University of North Carolina at Wilmington. John is a graduate of Wake Forest University and holds an MBA from the Fuqua School of Business at Duke University. He is also a Graduate of the Realtors Institute (GRI). 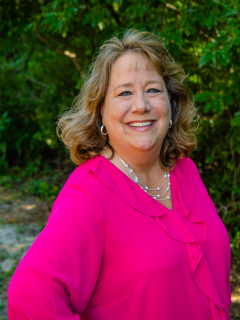 Linda joined Crown Hotel and Travel Management in 2011 as the General Manager of the Hampton Inn and Suites Swansboro, NC where she won back to back Hilton Connie Awards in 2012 and 2013. She has over 16 years of hospitality experience and has worked in all aspects of operations. Her career has included leadership and management with new openings, conversions and multiple locations. She is well respected within the industry and is tirelessly volunteering in the community. Along with her Connie Awards, she has an array of achievements with Crown such as Hampton’s Spirit of Pride award for guest excellence and Swansboro Business of the Year. She currently serves on the Board of Directors for the Swansboro Tourism Development Authority and the Military Affairs Committee. As the Director of Operations she assists in all operational matters for all owned and managed hotels along with on and off site assistance with new projects. Linda is a graduate of the University of South Carolina with a Bachelor of Science Degree in Business Administration and is a diehard Gamecock fan. She currently resides in Swansboro, NC with her son. Dixon joined Crown Hotel and Travel Management in April 2015. He has over 10 years of hospitality experience and over 20 years in the service Industry working with such brands as Hilton, Aramark and several independent resorts. Dixon oversees all corporate sales and marketing efforts and works directly with all hotel Director of Sales to maximize revenue and exposure for all properties. Along with his hotel responsibilities, Dixon is also responsible for the sales, marketing and negotiating efforts of our Travel Management division. 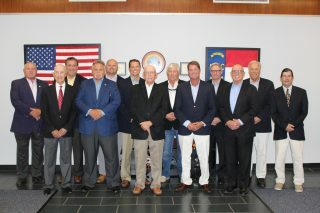 Dixon serves on several committees with the Association Executives of North Carolina, as well as the Swansboro Military Affairs Committee. He graduated with a Bachelor’s degree in Service Leisure Management from the University of North Carolina Wilmington and was presented the UNCW College of Health and Applied Human Services Most Outstanding Alumni in 2008. He now serves on the UNCW College of Health and Applied Human Services advisory board. Dixon currently resides in Wilmington, NC with his wife Katy and 3 children, Nate, Tanner, and Rylan. Tinisha Green joined the corporate staff in May 2018, but is the longest tenured employee with Crown. As the second hire of the newly founded company back in 2009, Tinisha worked her way from Front Desk Associate to General Manager of the Holiday Inn Express Leland-Wilmington Area in Leland, NC. She prides herself on being one who loves working with people and giving the best experiences possible when staying at her location. As General Manager, Tinisha has gained a considerable amount of first-hand knowledge and experience in financial management and revenue strategy. As Revenue Strategist, Tinisha ensures our hotels maximize revenue opportunities at the highest level. She is responsible for analyzing trends and identifying growth prospects. She works closely with our Director of Operations, Regional Director of Sales, and our General Managers to identify and execute our profit objectives. Additionally, she manages the monthly revenues of our three Homeowner Association properties. Tinisha grew up in Fayetteville, NC and received her Bachelor of Science in Accounting from Fayetteville State University. She went on to get her Masters in Business Administration from University of Phoenix. 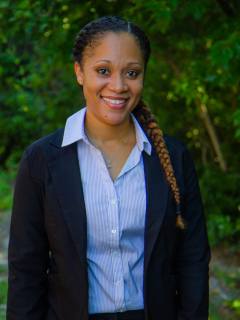 Tinisha currently resides in Leland, NC with her husband and three children. Elena oversees all office operations and plays a key role in the day-to-day management of the company. She is responsible for providing high-level administrative support, including handling information requests, preparing correspondence, and pre-opening management. 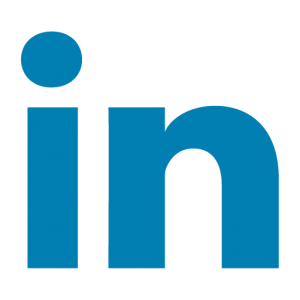 Other responsibilities include human resources, Condo-Hotel owner assistance, bookkeeping for the corporate office, and HOA’s and travel management team assistance. Elena has had over 9 years of hotel experience in several departments which include, food and beverage, front desk and sales. She currently lives in Wilmington, NC with her husband. Jacqueline joined Crown in July 2017 and is our Creative Director of Online Services, keeping our ten properties up-to-date on the web. She is responsible for managing all social media accounts and updating property websites and 3rd party review sites. 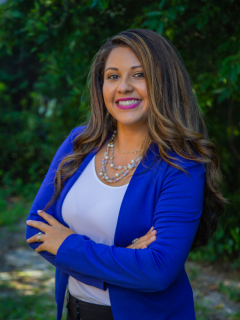 Additionally, she works with the Revenue Strategist and Corporate Director of Sales in creating promotional events and creative marketing strategies for each of our hotels. Jacqueline also assists in day-to-day operations within the corporate office, including administrative duties and escalated customer service reports. 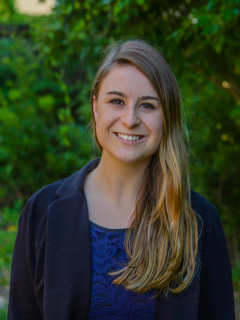 Originally from the San Francisco Bay Area, she received a Bachelor of Arts in History with a minor in Political Science from the University of North Carolina Wilmington and currently resides in Wilmington, NC. 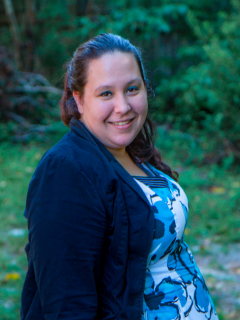 Samantha started her career with us as a front desk associate for the Islander Hotel & Resort in Emerald Isle, NC, but officially joined the corporate team in January 2018. Samantha has worked in some aspect of the hospitality industry for 6 years and has gained not only experience in customer service, but also valuable knowledge of the industry’s growth and development. Additionally, she has organized and completed several independent projects, including website development and video production. As Revenue Analyst, Samantha works closely with the Revenue Strategist to maximize hotel profits and analyze trends to find potential growth prospects. Her daily duties include assisting in rate adjustments and Homeowner Association management. Samantha is originally from California but was raised in the Camp Lejeune/Swansboro area. She is currently attending Carteret Community College, where she is working towards her Associates in Business. She lives in Hubert, NC. Noah joined the Crown team in January of 2018 as a Management Intern working at both the corporate office and the Holiday Inn Express Leland-Wilmington Area. He was trained by every department at the hotel and learned how a successful property runs from the ground up. Noah’s quick ability to learn and his excitement to grow made it an easy decision to bring him on full time as Crown’s Task Force Manager after his internship was completed. 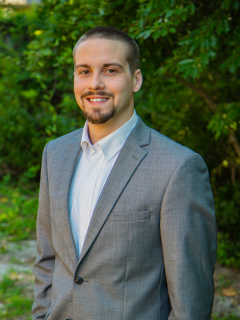 As Task Force Manager, Noah assists all of our hotels by filling in key positions when needed and overseeing corporate and day-to-day duties at the properties.